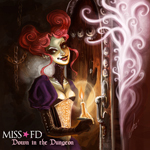 Continuing the same holiday tradition of last year's spooky single "Love Magick" (and its zombie-filled music video), dark electro-pop artist Miss FD has brewed up another Halloween treat in the form of the playfully wicked gothpop track "Down in the Dungeon". Featuring original cover art by comic book artist Chandra Free (THE GOD MACHINE), the single will also be accompanied by a music video, premiering October 1st on FEARnet.com. 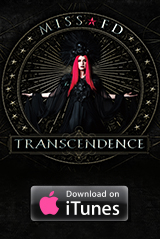 The video was produced by Adam Alvarez, who also helmed the "Love Magick" clip, as well as videos for FD's "Moment of Fade" and "Infatuated". "Down in the Dungeon" is available as a digital release from Bandcamp, Amazon MP3, iTunes, and other digital music outlets.